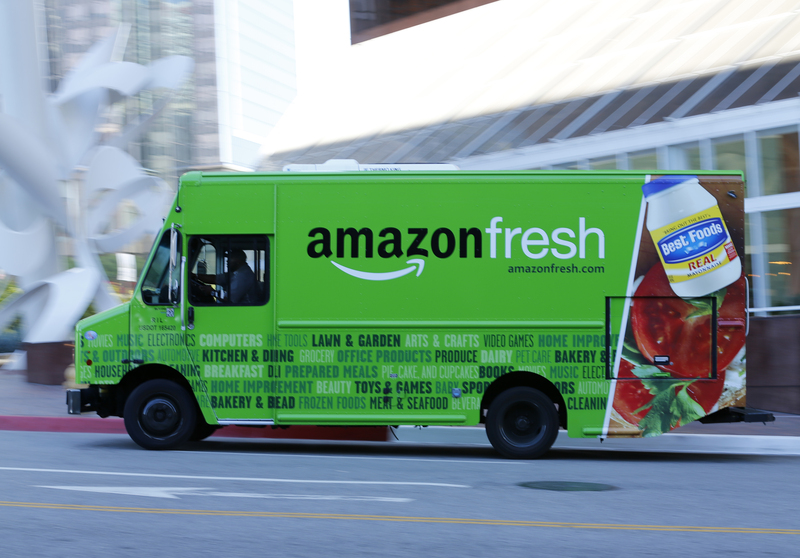 An Amazon delivery truck drives in down town Los Angeles, California May 13, 2014. Amazon.com and General Motors are in talks to take minority stakes in U.S. electric pickup truck maker Rivian, Reuters reported on Feb. 12. A deal could value the company at between $1 billion and $2 billion. Rivian plans to begin selling an electric pickup in the fall of 2020. The company has described the vehicle’s platform as a “skateboard” that contains the battery, drive, suspension, brakes and cooling system below wheel height to allow more storage space. On Feb. 7, Amazon was one of several firms that participated in a $530 million funding round for self-driving car startup Aurora. Venture-capital firm Sequoia Capital led the investment. Amazon referred to itself as a transportation and logistics company in its most recent annual report.